The first port of call was the Maritime Museum on the bank of the river Elbe. 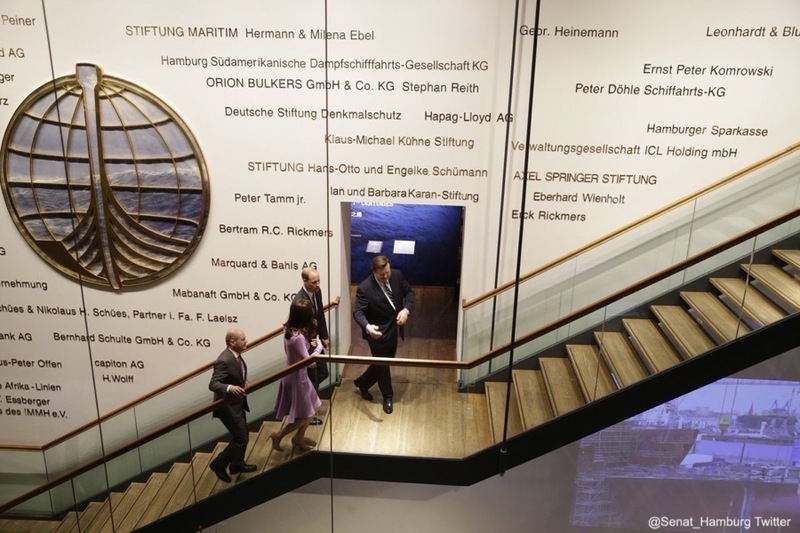 The visit celebrated the joint UK-German year of science, which this year is focused on oceans. As you may recall, this is a particular area of interest for the Duchess. 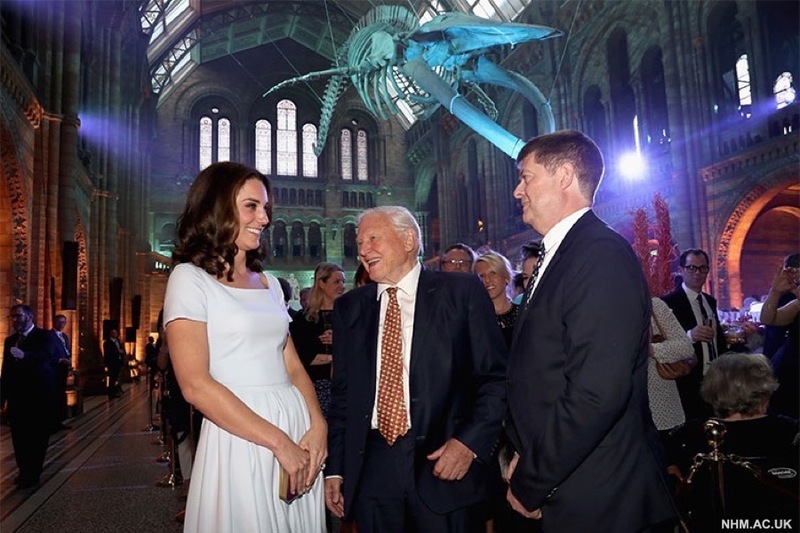 A week prior, Kate spoke about marine conservation at a reception hosted by the Natural History Museum. 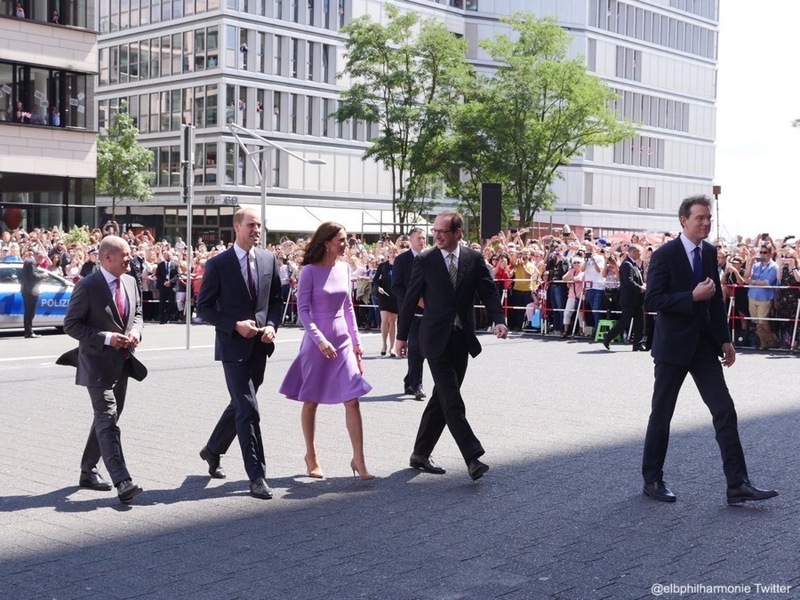 Next, William and Kate travelled to the Elbphilharmonie, one of the world’s largest and most acoustically advanced concert halls. 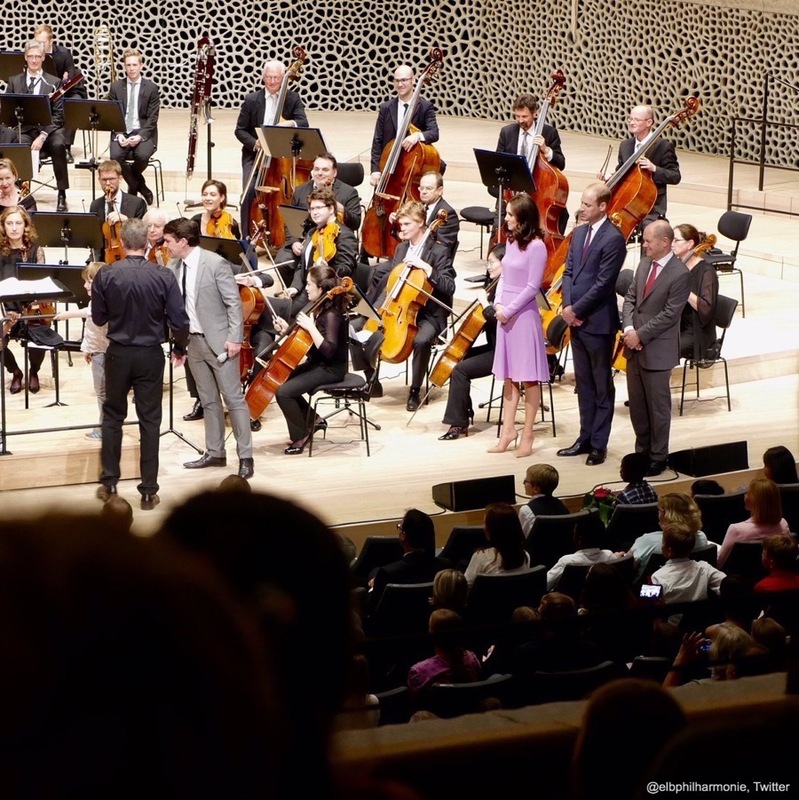 The couple joined the orchestra on stage, before listening to a special performance by the Hamburg Symphony Orchestra. 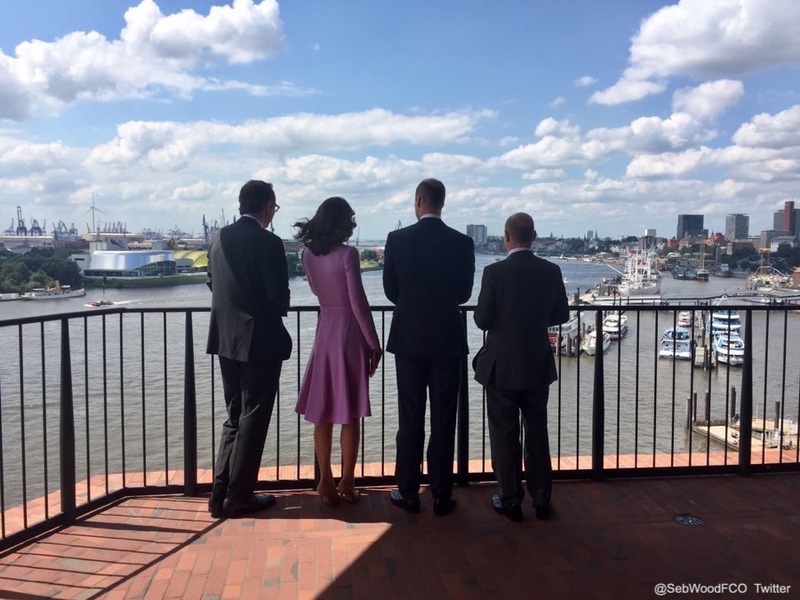 Next, William and Kate took a boat down the River Elbe. 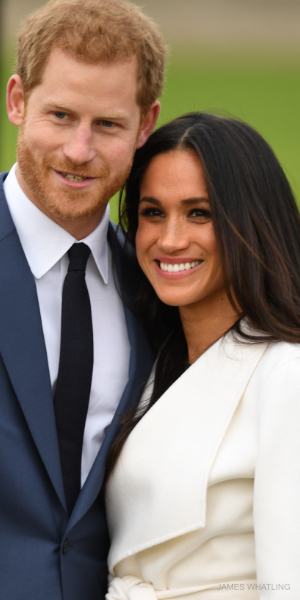 The couple’s final engagement of the tour took place at Hamburg’s Airbus headquarters. 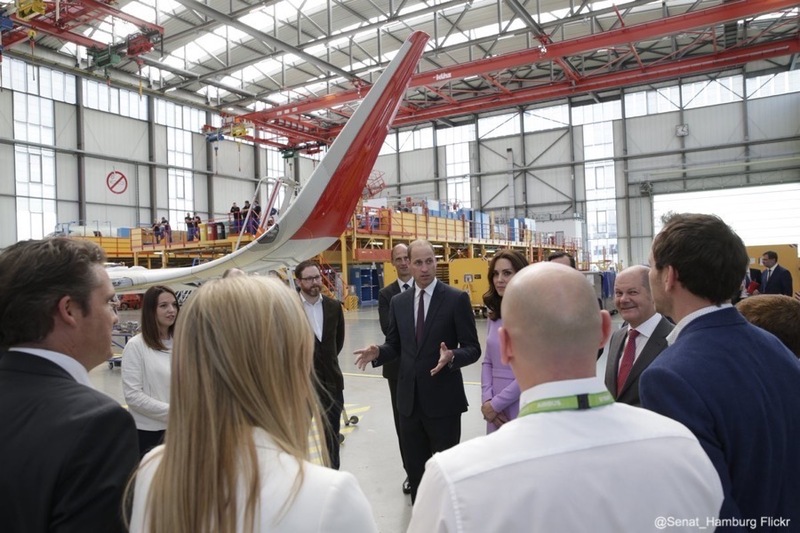 The couple toured the Airbus headquarters and went to see the final assembly of an A320 aircraft. 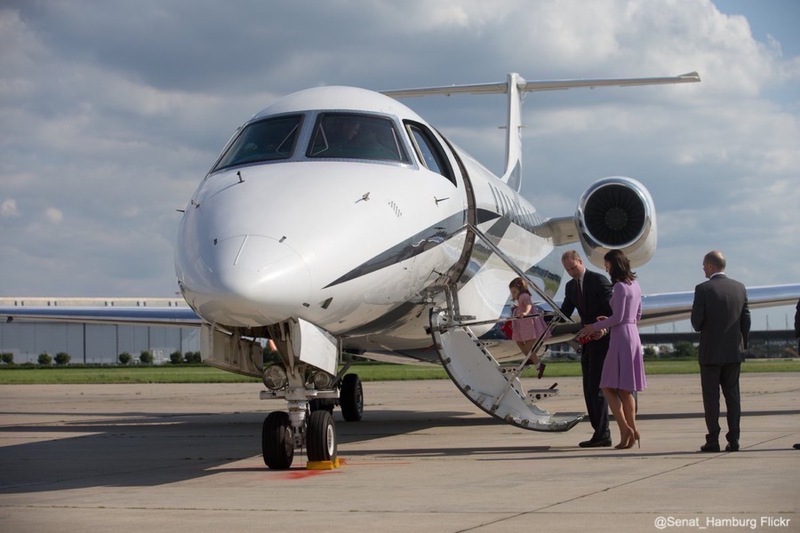 George and Charlotte joined their parents on the tarmac at the Airbus headquarters. It was time to head home! The family then departed from Germany. 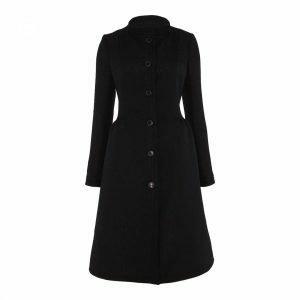 Kate chose London-based designer Emilia Wickstead for her final outfit of the tour. 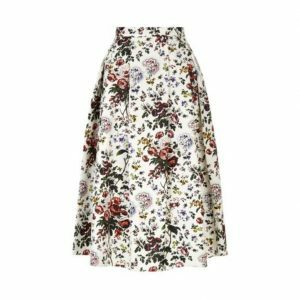 The dress features long sleeves, a knee-length flared skirt and waistband detailing. 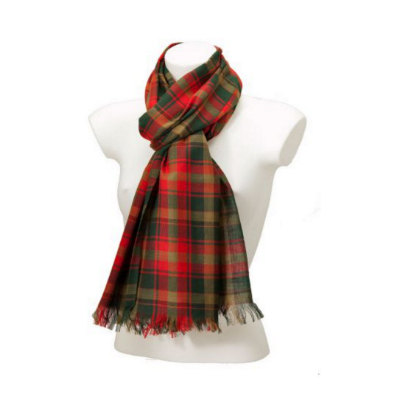 It is a vivid purple colour, which Wickstead appears to have used in her Autumn/Winter 2015 ready-to-wear collection. 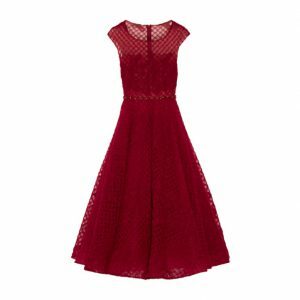 UPDATE: The dress is now available to buy in pink, red or blue at MatchesFashion.com. 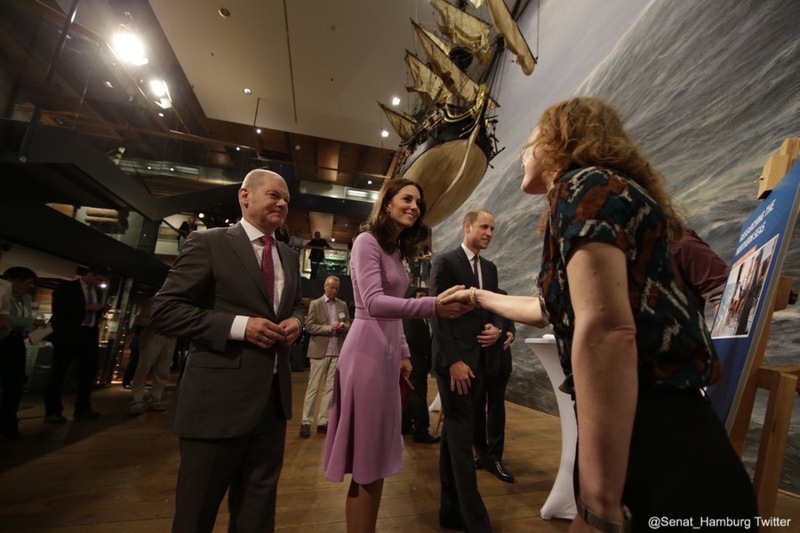 Kate wore her Gianvito Rossi ‘105’ pumps in Praline. 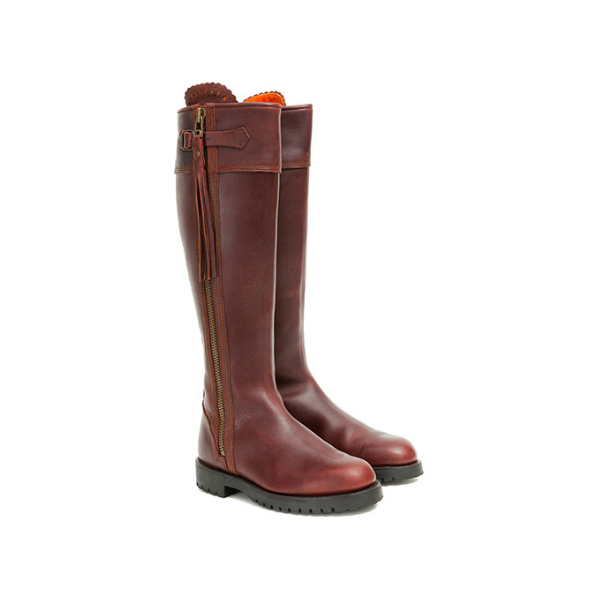 The shoes are made from suede leather and hand-finished in Italy. 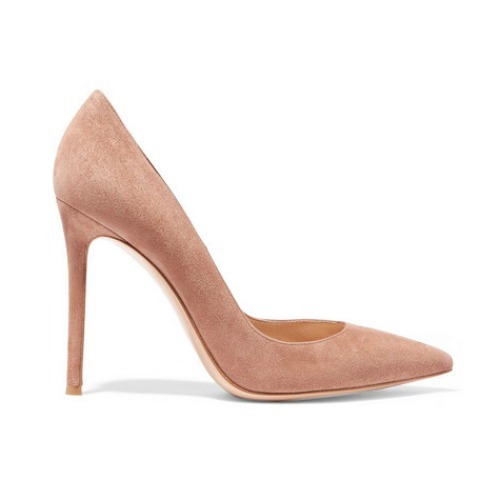 They have a pointed toe and slim heel. 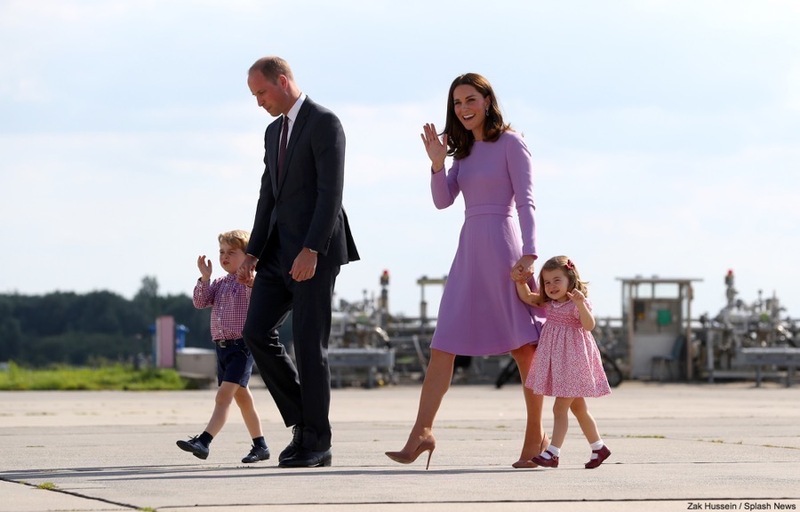 Kate owns the pumps in three other colours, plus she owns another pair in this colour with a lower heel. 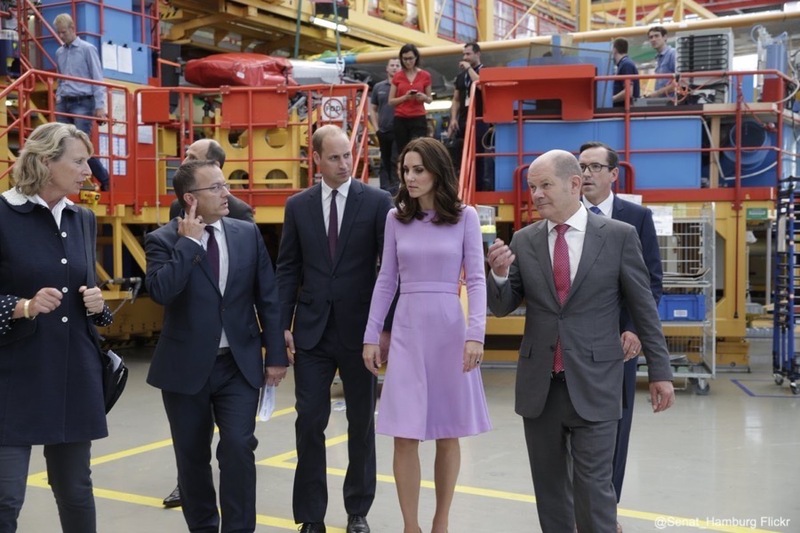 You can find out more about the shoe, and see more pictures of Kate wearing it, on this page. 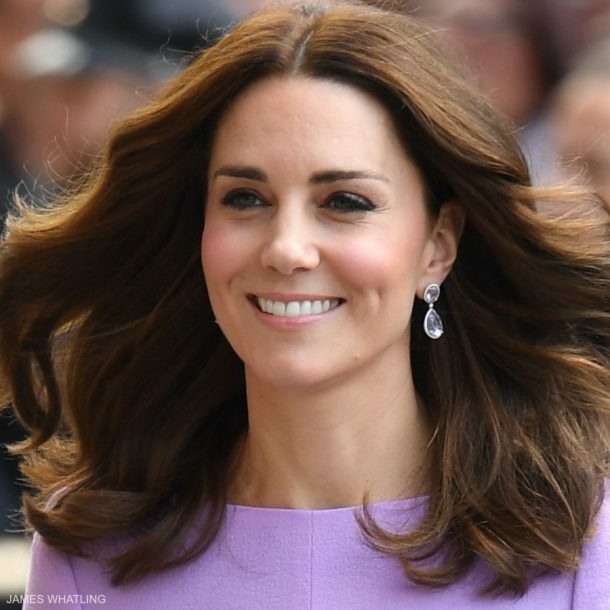 Kate chose her amethyst earrings by Kiki McDonough. 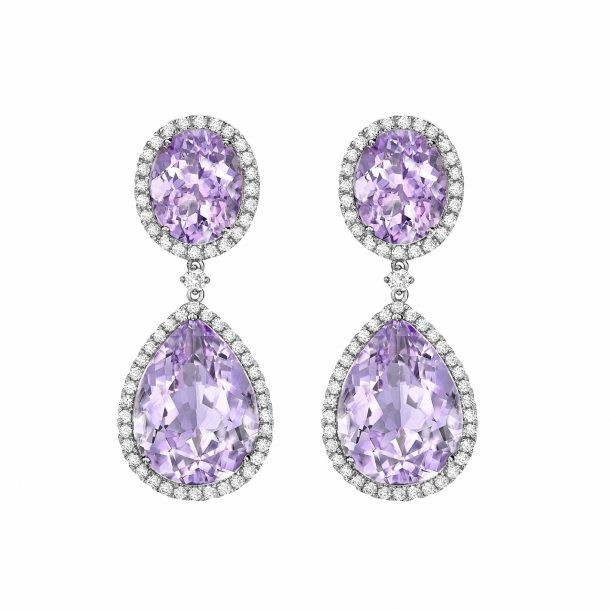 They’re the designer’s Lavender Amethyst Pear and Oval Drop Earrings. 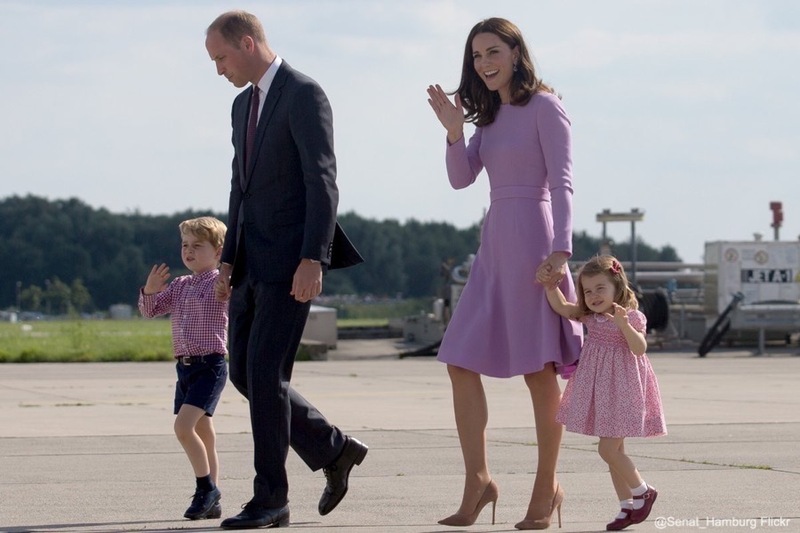 Kate first wore them in Bhutan, in April 2016. The pear drop earrings are made from 13ct white gold and amethyst stones. 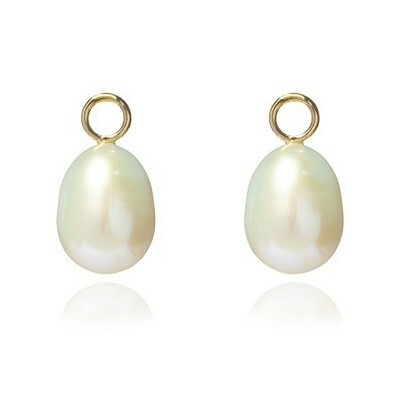 They cost £3,900 (approximately $5,033 USD). 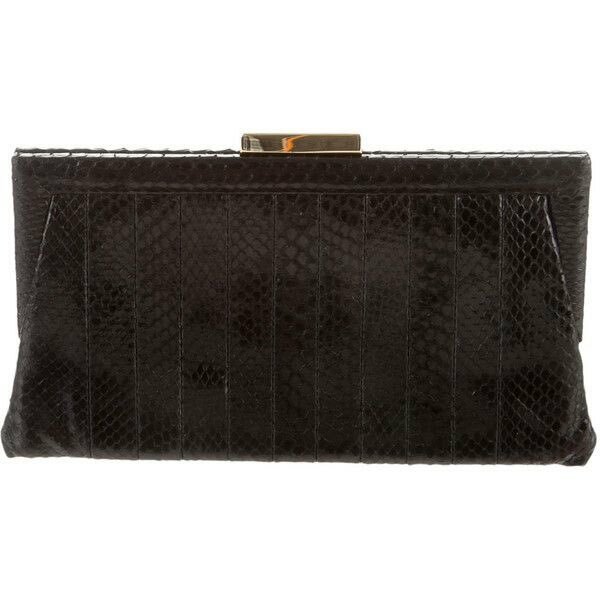 Kate’s carrying a new clutch today. 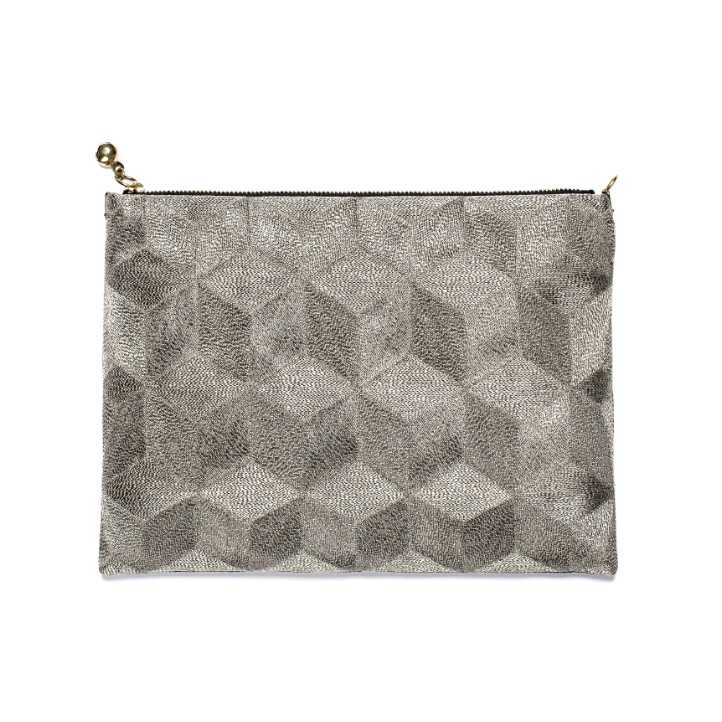 It’s a past season piece by Anya Hindmarch. The black version of the bag was for available at TheRealReal, an online consignment store (meaning it was pre-owned). It was described as being made from snakeskin fabric with gold-tone hardware, tonal stitching and black suede lining. 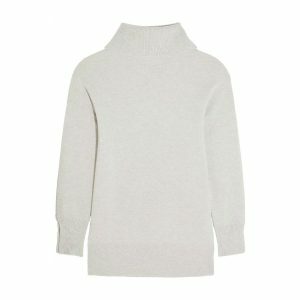 It had a single pocket at the interior wall and push-lock closure at top. She was such a jewel this tour and this outfit just capped it all off. The Kiki earrings here were I think what made it for me. And now I just want her to grow her hair long again. 😀 what can I say, long hair is romantic and classic princess to me. She’s getting raves for “updating” her wardrobe but I don’t know if I’m really feeling it. I like it but I also feel like she might veer too much into being “modern.” My favorite day on this tour was Heidelberg. That sunny dress with the full skirt. Thanks for all the updates, Carly! You were super fast!